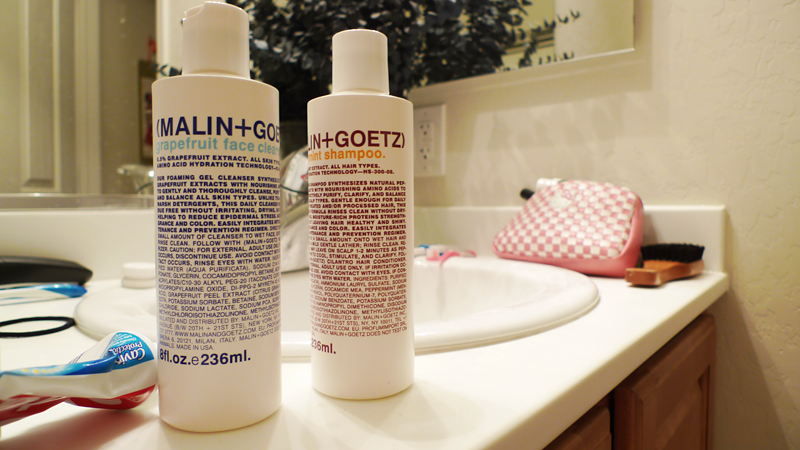 My first Malin + Goetz purchase! On one of my ventures into the outdoorsâ€”this time it was to the stores at Caesar’s Palace for Christmas shoppingâ€”I had a bit of a freak-out moment at Scoop NYC when I spotted the rack of Malin + Goetz skincare products and candles! I’ve had this weird obsession with the brand for more than a year now. Weird only because I’ve never actually tried their products or put the effort into ordering them and yet know about almost everything they offer. So, obviously I had to grab a couple to take for a test drive! I grabbed the facewash and the shampoo and they were both so amazing! 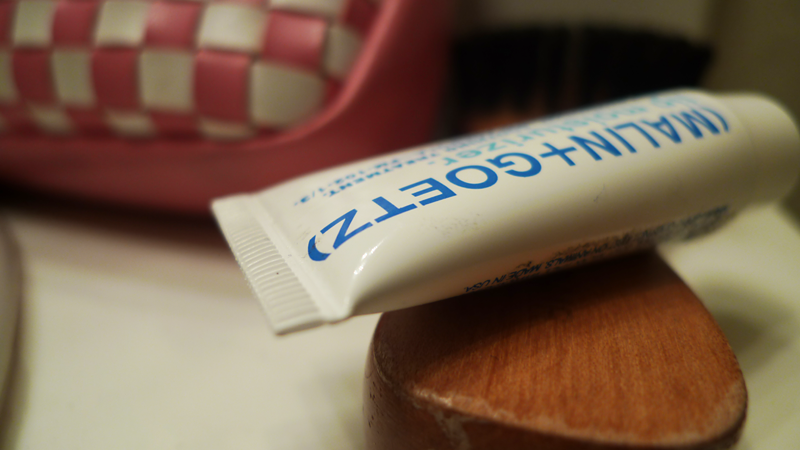 The cleanser feels very mild and a little goes a very long way. The grapefruit scent is incredible. The shampoo is just tingly heaven 24/7. Maybe I’m coming into it with some bias but honestly I thought they both were really great. They hype was definitely worth it. The scents are refreshing and the package design is just so beautiful I’d be lying if I said that it wasn’t the main reason I was drawn to the brand in the first place. Scoop NYC also had the bergamot bodywash, the cilantro conditioner, the vitamin E moisturizer as well as the aforementioned candles. My sister offered to buy the rest for me so I’m thanking my lucky stars right now. Just thinking about all this scented goodness in my bathroom is so exciting!! However, I may have to buy doubles before I leave because they don’t have these anywhere in Hawaii and I’ve already decided that I’m going to swear by the facewash. Also, the lipbalm is amazing, unscented, syrupy goodness. The racks at Scoop also deserve another look because I ignored most of them on my mad dash to the skincare section. I happened to spot a large selection of Shipley and Halmos that I can’t afford but I think I can convince myself otherwise! Question: What do you think the best scented candle purchase would be? I’m so torn.